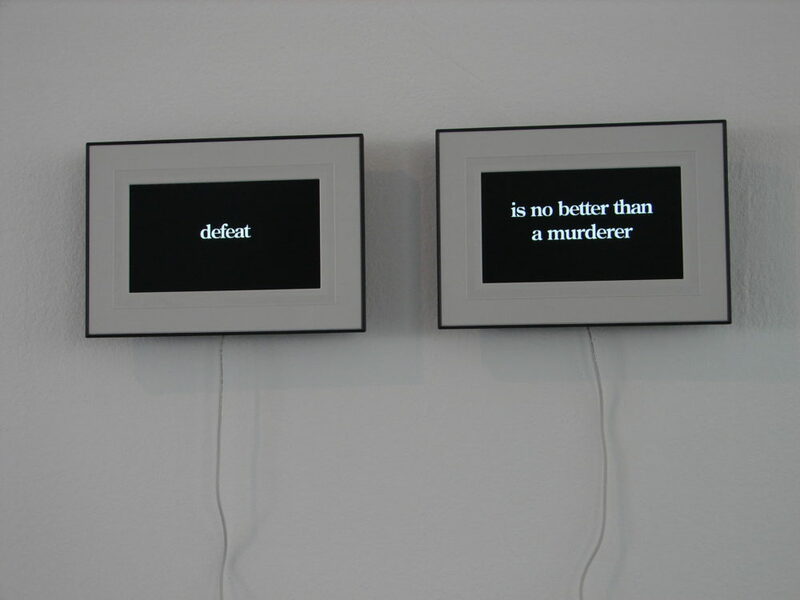 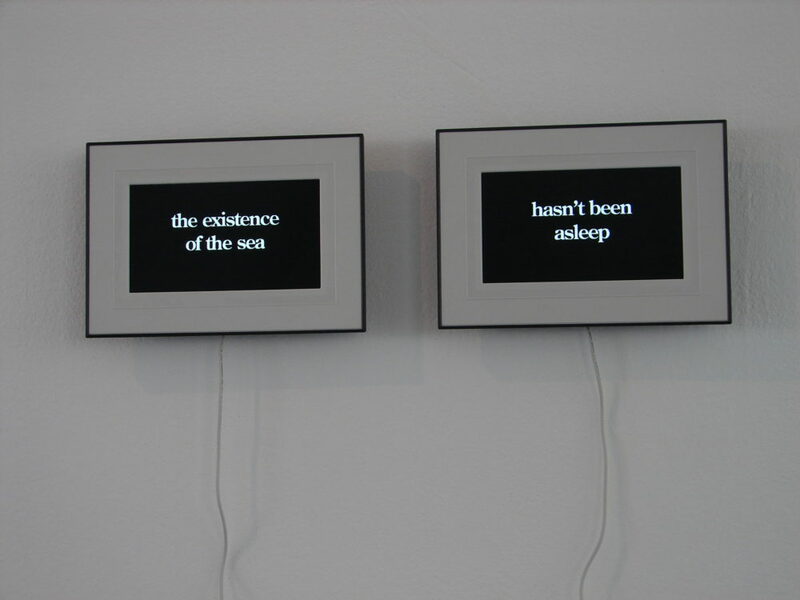 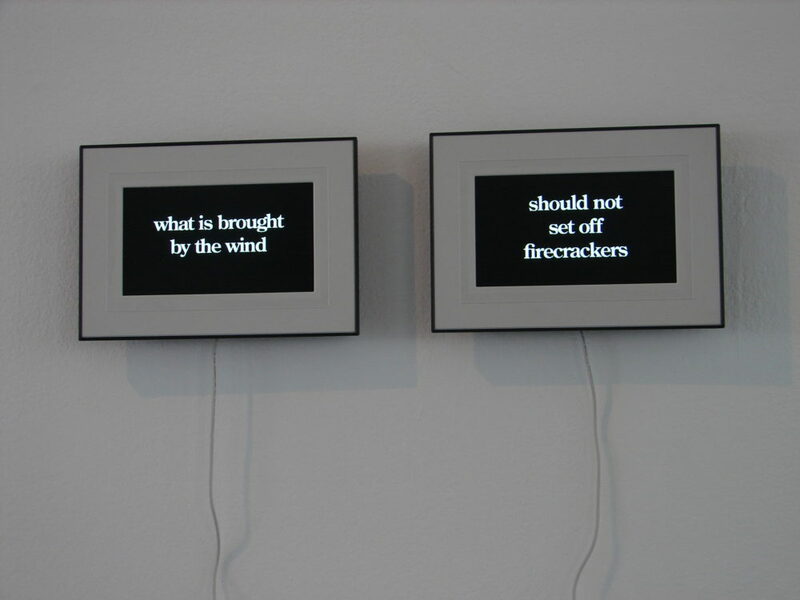 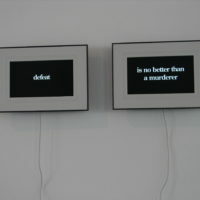 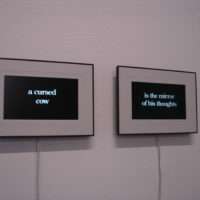 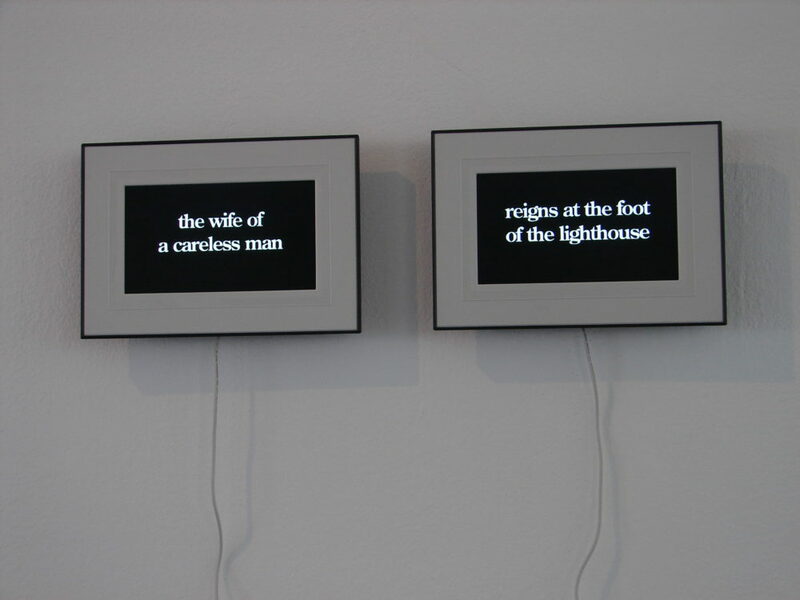 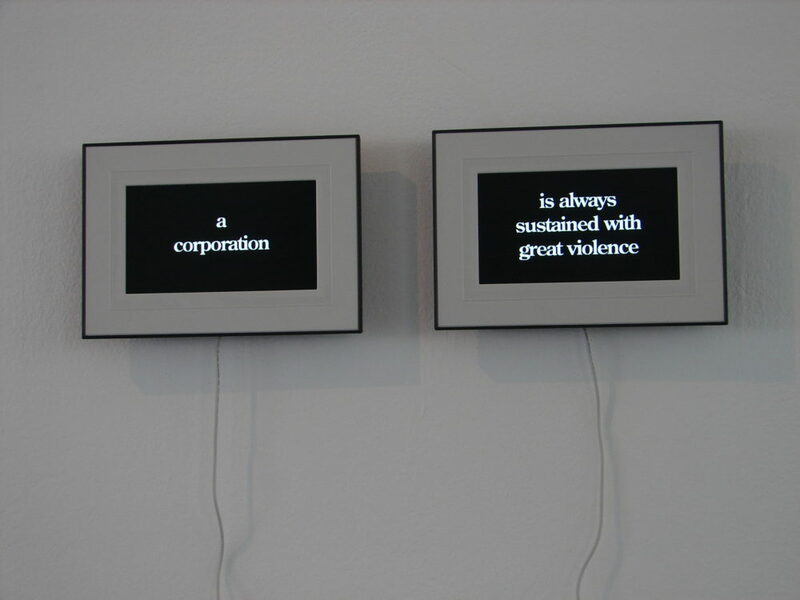 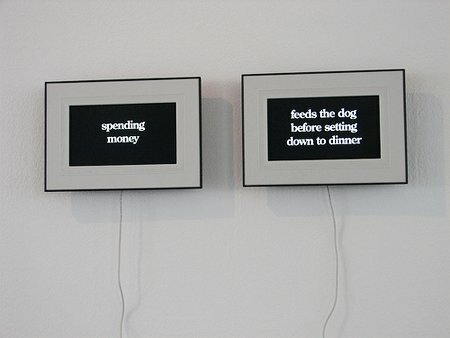 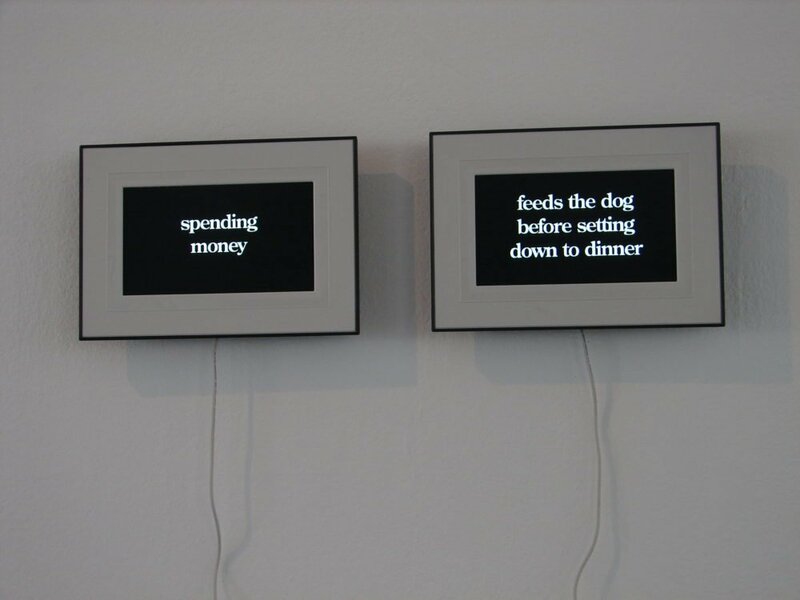 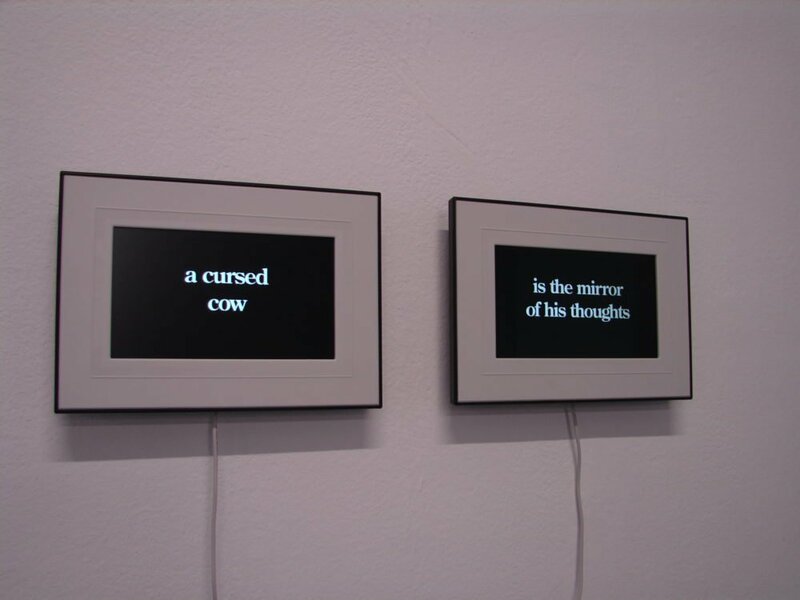 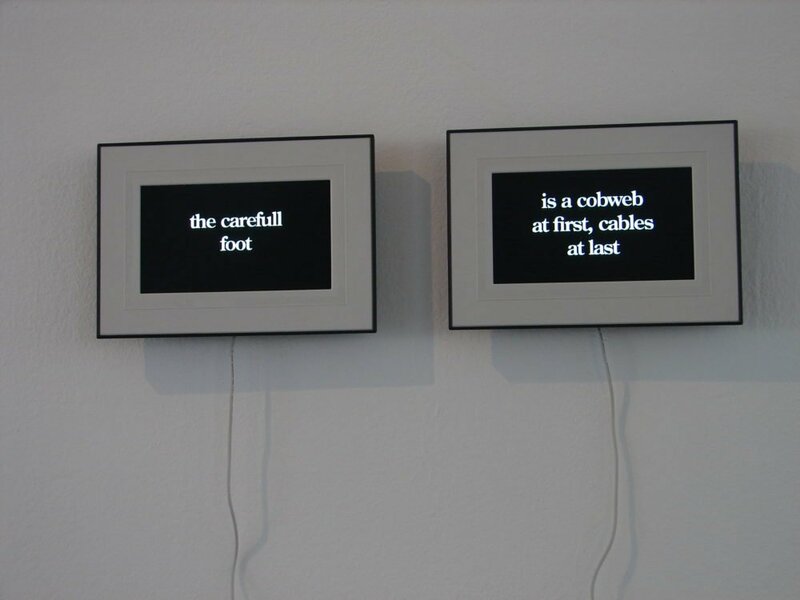 How Random – Is Random is an installation for two digital photoframes. 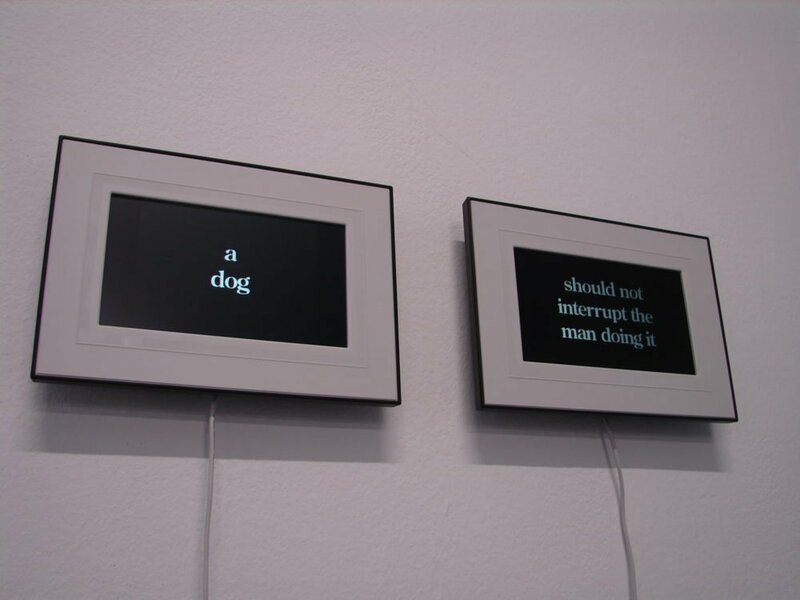 It’s an adaptation of a previous version. 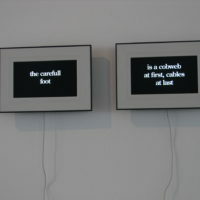 A large number of eastern proverbs, split in half, are continuously recombined at random to form new proverbs. 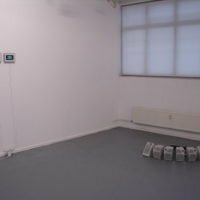 The photo’s and video shown above were shot at Uncollectibles, an exhibition in Kunstenlab, to give you some idea of what this installation does. The video plays at twice the actual speed. 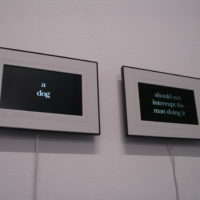 Since there are over 300 text fragments in each digital photoframe, the number of possible combinations is pretty high and repetitions are rare. Even when looking for days (or months if you adjust the speed on the photoframes). 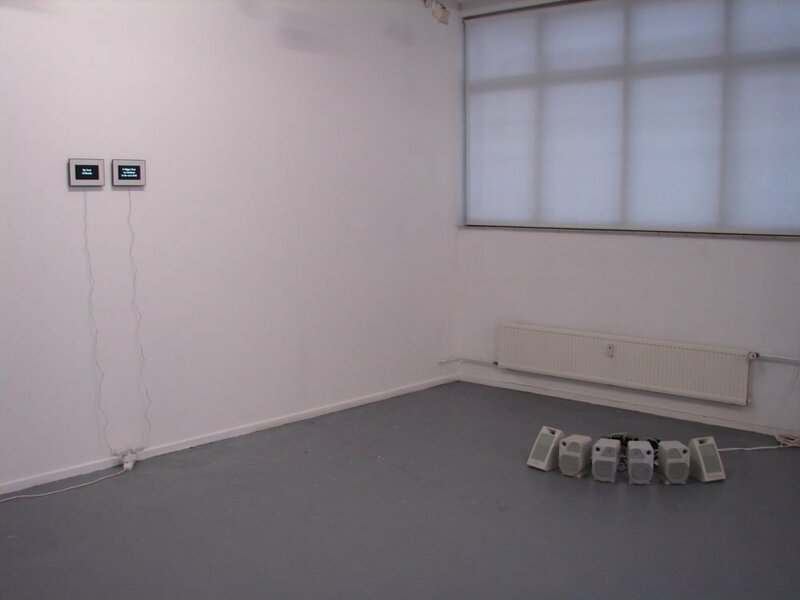 This work is in the collection of Kunstuitleen Deventer.